Buttercups that is. TheTinyFig has some of the cutest little things and some of her work uses polymer clay, like these sweet little earrings with buttercups. How adorable is that? 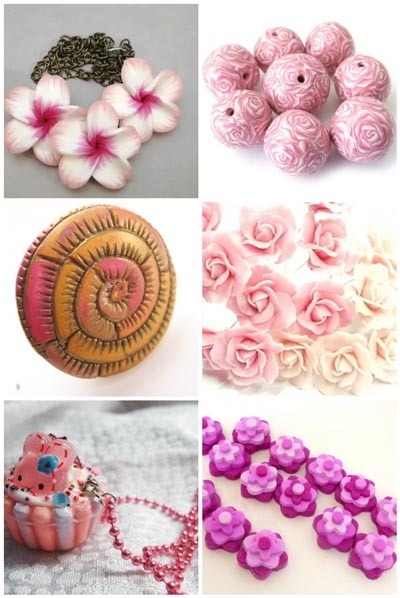 A search on polymer clay champagne netted me some lovely results to help usher in the New Year with including the above! 1. So, introduce yourself to us! My name is Cindy Dowdle-Schoen. My company name is CDowdle Designs and my blog name is Purple Froggie Clay Stuff. Here in Canada, just when you thought you were safe from the busy insanity of the season… the Boxing Day sales start. The above little guy is an excellent example of a clay find in Etsy’s sales! In our household, it’s Merry Christmas but to everyone out there I wish you the very best this season and in the coming new year! I am Kathi Briefer-Gose and I live in Bakersfield, California with my wife. I found polymer clay after I was disabled at work and couldn’t work any more. 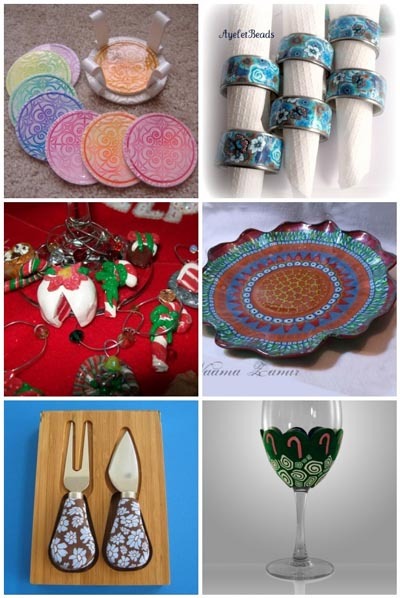 Here are some lovely table setting ideas for the holidays – wine glasses, markers, coasters, beautiful glassware. Ah! 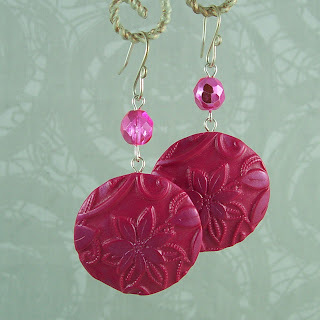 Leave it to Heather to give us a sweet, stylish clay item we can make for last minute gifts. Check out the tutorial for these cute bobby pins here. And this one isn’t necessarily for the top of your tree! Doreen Kassel makes UncommonCreatures. Each ornament has a lovely, vintage feel to it. Each one makes me smile! 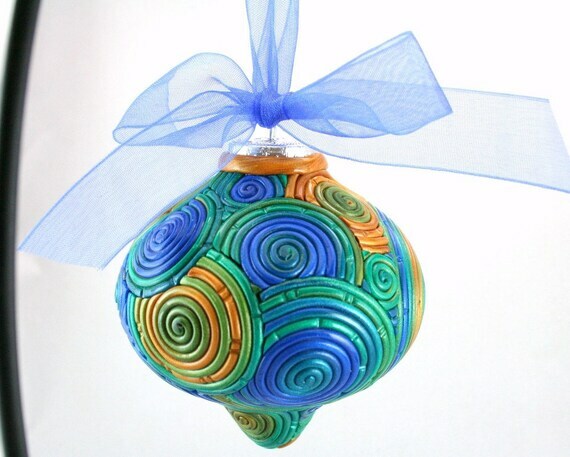 They are all sculpted clay over glass ornaments.